The E38 BMW 7-Series has been and will always be one of the most significant executive sedans of all time. Doesn't protect the later E65 from the occasional jerk-off who advertises their success. Example? 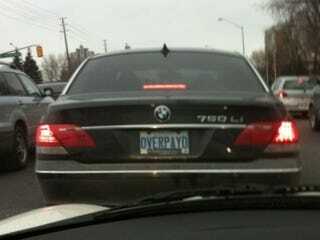 This guy and his license plate.